As we told you in this topic, we are pleased to announce the arrival of Forumotion packages. A new way to enrich your forum and customize your members' experience through a redesign of paid features management. Forumotion packages allow you to enrich your forum with additional features. As you know, Forumotion offers for many years the possibility to create a free forum, with a rich diversity of features. If, by default, our forums offer most of the tools necessary for the proper use and development of your forum, some paid options can enhance it with new features, and improve your members' experience (ads deletion, SSL certificate, custom domain name, etc.). Until now, these paid options were dispersed in the administration panel. Today, and thanks to the arrival of Forumotion packages, the purchase of a package will allow you to access a set of additional features, while leaving you free to activate or not, step by step, each of these options. These packages are primarily a response to technical issues that disrupt the proper use of the service, particularly because of the international nature of Forumotion. But they are also the manifestation of an evolution of the web, and the world of forums. These have evolved a lot in nearly 10 years, and Forumotion must evolve in the same direction in order to adopt an operating model to guarantee the quality, viability, and continuity of our service. What are the different offered packages ? - Free package: this is the default package for all Forumotion forums, which continues to offer features that allow relevant use of your forum. These features include access to advanced permissions, image hosting, optimization of your forum for SEO, unlimited number of topics, members and messages, etc. - Advanced package: in addition to the features offered by the free package, the advanced package offers, among other things, more storage space, a higher newsletter limit, the possibility to activate an SSL certificate or to acquire a domain name, etc. - Premium package: it is the most complete package, offering the most functionalities, such as the monetization of the forum, the suppression of copyrights, an improved search which extends to the content of messages, the personalization of the"Popular content" newsletter, etc. You will find a more complete presentation of each package in your administration panel, in the Misc tab. How can I subscribe a Forumotion package? Either via an annual payment: In this case, you pay your package in a single payment, for a validity period of one year. Or via a monthly payment: With no due date and no commitment, it allows you to access Forumotion packages by paying very accessible monthly fees and to spread the payment of your package. Note that the annualized subscription includes 2 months free. Forumotion packages use credits, the virtual currency specific to Forumotion forums. Subscribing to a package on an annualized basis requires therefore to have a sufficient balance of credits on the forum. Nothing changes, the purchase of credits remains made in the same way as in the past, via Allopass, Paypal, Hipay or Skrill. The monthly subscription is only possible via Paypal (the use of a PayPal account linked to a valid card or bank account is mandatory), the only means of payment to set up a satisfactory monthly payment given the technical constraints we know. We hope that these innovations will bring you full satisfaction. The package allows you to send 4 newsletters per period of 30 days, against 2 in the free package. It also allows you to link an external domain name, or to buy a domain name via Forumotion. Finally, it includes the SSL certificate, and increased storage space (500 MB against 20 MB at the base). Technically, we had to keep the domain name purchase separate from the rest, because even if your package expires, the domain name must remain (since it is bought for a period of one year). The only thing that seems to have been evolved as forumotion says, is formotions wallet. You guys have made a lot of enemies with this resent ransom. Do any of these packages increase traffic to our forums? Do any of these packages allow our forums to show up better in search results? You guys imposed all of these fees at the wrong time! All forums, not Forums just based on forumotion, are dying out, everyone uses facebook, twitter, etc. Not forums. We get very little in return for what we are being charged! I paid up this year... Next year, may be different. 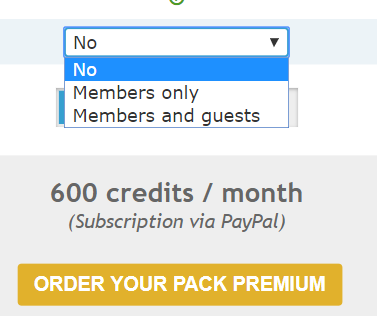 You do understand that these packages are optional. You can just use the free package. Not when I have 2 businesses linked to the forum, along with product labels and business cards. Once this is up, I will let my domain expire and run it off Godaddy and use the free package. Way to expensive for zero improvement to our forums. This is nothing more than what we refer to as, Pay to Play. Well unfortunatelly that is the way the internet in general is headed. We are not the only ones who use packages. Almost all free web providers do the same. Servers and stuff are not free, companies like Forumotion have to adapt to survive, which is what Forumotion is trying to do. They were like one of the last companies to go to the packages system and did everything possible to avoid having to do so, unfortunatelly that is the way the internet is now adays. The old system was simply no longer sustainable. @frontier gander I get your point, but you really seem far from reality. Take your own web hosting, buy your domain name, and you will see what it really costs. Then add to that the daily maintenance of the infrastructure by Forumotion, the regular developments and improvements, a very reactive support, and you will see that the price of the packages is not prohibitive compared to what is done on the market. @The Godfather wrote: This change was not made out of pleasure or to impose constraints or to force you to pay more. This is a total change in our company's business model. Either we do it like that, or we close the Forumotion service, no choice. These words are certainly hard but it is the truth that you must hear and understand. The free model no longer pays on the Internet, many competing services have closed their doors and in order to guarantee you a stable and qualitative service that it can continue in time, we have set up these packages which are in no way an obligation because a forum with the free package will work as well as before. But, those wishing to support us and in addition to having additional features to evolve their forums, those if they can acquire payed packages to support us it will be with great pleasure but it is by no means an obligation. Now that the financial situation no longer allows it we continue to offer you quality service and free domains for the deserving but we must also, as a company, think about our survival. So we must stick together and show solidarity, hence the implementation of the packages. You don't like it? Know that we are not happy about this either and we are the first to do without it if we could, but the economic reality is there and reminds us that it is the only way to continue. I hope it is clear to everyone, I understand your inconvenience, I understand your questions, I understand that having free elements for years and having to pay them now can make people grumble but it is not for pleasure but by obligation to protect what you have built during all this time and prevent that our work like yours disappears forever. This marks the area of the collaborative community and we hope to count on you to succeed in this transition. As long as you see my point, that's all I had hoped for. Buy this package, get a very small upgrade in storage space, send a whopping 3 news letters per month ( 2 more than I use in a month ), then Pay another fee to Renew your domain. It's just a game of Pay to unlock this door, then pay another fee to do what you originally wanted to do. Im done making my case, but just know this... Forums are dying out.... If you guys don't do something to help forums out at your end by expanding search results, bring in more traffic,etc. We will not pay to open locked doors that do nothing to help us & our forums. All these days I am reading all answers of this topic and I would like to suggest to make the packages more flexible and the users to be able to select what ever they want to have for their forums and charged for their their selections. Additional I would like to suggest a general upgrade on our forum software for our forums as it seems it is mandatory. Furthermore the donation option must be available on all of our forums by this way we can help the admins to share their forums' expenses with their members. @frontier gander wrote: As long as you see my point, that's all I had hoped for. The premium package does have extended search. @frontier gander you really need to re-design your whole site, that's problem. ModernBB or PunBB are my suggestion. Your users would like to see anything new, post more content for them, Sir. @SLGray wrote: The advanced or premium package just give you the ability to have a domain name. The domain name price is separate from the packages' prices. This means the expiration date for the domain name will not be the same as the package's expiration date, unless you purchase both on the same date. So I am still to understand that the domain name I purchased in March, under a totally different plan, and not being informed you were going to change it in one week, can Not be renewed Ever, unless I purchase the very expensive large plan that I don't need except for the domain name. Let's make this even simpler. Are you saying that folks like me and the guy above your post, will NOT be grandfathered into our domain purchase, and will lose it if we don't pay 80 some US dollars More than the domain originally cost? One more question, since I purchased this in March, about 45 or so days ago, this still falls under PP's return polocies. So if I ask PP to refund what I spent based on the current situation, is that still possible? Your domain will remain active until its expiration, even if you purchased it under the old system. I believe Forumotion's return policy as outlined in our terms of service is 15 days. I understand that I can pay for the Advanced package on a monthly basis (not for an entire year). And I understand if I pay on a monthly basis for the Advanced Package, then I pay directly through PayPal, not through credits. According to what I see on my Administrator's Panel, I would pay 520 credits per month, on a monthly basis for the Advanced Package. But I don't really pay this in the form of credits? I pay this in the form of U.S. dollars (since I'm in the U.S), since I want to buy the Advanced Package on a monthly basis? So I would pay approximately $6.50 per month if I wanted to pay for the Advanced package on a monthly basis? So far is what I have said correct? Can you tell me whether I also can pay on a monthly basis (not for the entire year) to get rid of ads? If the answer is yes, that I can pay to get rid of ads on a monthly basis, how much would it cost in U.S. dollars (not Euros) per month to get rid of ads? Thank you in advance. If you pay for monthly then you can remove ad's yes it will come out of your paypal account every month for one year unless you out a stop to it. You can only use credits for a yearly basis and not monthly. So if I pay on a monthly basis for the Advanced Package, and on a monthly basis to stop the ads, I would have to contact PayPal when I want to stop both, or would I contact someone else? you can stop it with paypal or you can contact us and we will deal with it but you should have a setting on your ACP to stop the payments once setup that will stop the payments BUT it may take some time so you will have to do it before the next payment comes out. I would say at least 2 weeks before as you will not get your money back if we take it out. Thanks again for your answer, Ape. It is very helpful! So if I want to contact Forumotion (to stop monthly payments), can I PM one of the administrators here? Yes you can pm one of the Admin's or you can PM me and I can deal with it. But you will have the tools in your ACP to deal with it your self or you can just do it in your paypal account. Thank you for your response. I will try to do it myself. If I have any problems, I will turn to PayPal, but if they are not responsive, I'll ask for help from Forumotion. Thank you for your support. I appreciate it. Have a good week! @CalvinNHobbs2 There is an option in your Paypal account that is used to "unregister" from the monthly payments and all that. I don't remember the path but I have used it before. having a bit of trouble understanding your Credit system. As you can see I have the full premium package on a monthly plan. I have & thanks(most important) already seen the HTTPS activated. BUT~ The package info as shown seem to be suggesting that ALL the little green tick *are* included within the package as well. BUT~ upon trying to activate them I'm always sent to BUY~more. Just what and how does 1 get all those options.... or am I whistling AND~ if so how much are the various sections and how long do they last? OH sorry, 1 more thing, I do not & my only 2 members do not like the auto adds~ I see that is shown as NOT an option. is there anyway to change that? Not sure just yet what a domain name actually means. I have 3 websites with domains attached but don't see as yet the connection. Don't worry. You can still remove advertising from your forum either when you subscribe to a package or later, once the package has been purchased. In both cases, the removal of the advertisement will only be valid until the expiry date of the package. You can select there if you want to erase the advertisements for guest or members. Unfortunately this option is not included either but it's accessible. Think we might be talking about different things here. BOTH are shots of The forum~ to visitors. The other shows that the adds are still showing when they move to examine the contents of the forum. Those are ones I want to get rid of. Ok no problem, had thought to go there in the 1st BUT~ It said take a look here, and well... sorry if I'm mistaken about that. Also would it not just be simpler to move it there yourself? The packages tutorial has been published, we hope it will remove any remaining uncertainties. Any remaining questions, however, are welcome in the support section of the forum. @mpelmmc wrote: @CalvinNHobbs2 There is an option in your Paypal account that is used to "unregister" from the monthly payments and all that. I don't remember the path but I have used it before. 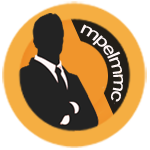 Thanks Mpelmmc. That's useful to know. Hi. I'm in the early stages of developing a free forum and have considered the premium package. The one question I haven't seen in this thread is what happens to our domain name if Forumotion sadly ever goes out of business? Would we be told weeks in advance? Would we have first choice on buying it and be able to purchase it at a reasonable price (again) elsewhere? Or would it just be gone? And if the announcement is made publicly, what is to stop one of those unscrupulous domain profiteers from swooping in and buying the domains first, then offering to sell it back at a ransom price? I thought of this question b/c at one time (and maybe still) you could go to Godaddy and put in a bid for a domain name in use, and if the owner didn't renew by a certain date, the profiteer would then own it and be able to use it or resell the name at whatever he thinks he could get for it.